Hey all! 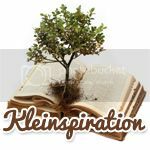 Everyone needs a little "Kleinspiration" once in awhile, right? Well, you need to go over there and check out the new store! It is just starting up and it features products from some of the TOP SELLERS from teacher sites! Check it out here: http://kleinspiration.weebly.com/science.html It is so easy to browse as the store is divided into subject areas that are easy to navigate. The best part is, ONLY teachers who have QUALITY products will be offering them at this store for immediate download! No worries about paying lots of money for products you could make at home. ALL of them are HIGH QUALITY. So, what are you waiting for? Get stocked up for the New Year! Fill the files over at Kleinspiration's new store! You'll be glad you did! Click the pic to take the fast track!